Lot’s of companies will sell you car insurance for your classic car. But who is generally considered the best classic car insurance company? The first mistake many classic car owners make is buying regular auto insurance for the classic car. Not only will this mistake not get you the coverage and amenities a classic car policy needs, it will also cost you more money due to the fact that our classic cars generally aren’t driven nearly as much as our regular day-to-day vehicles. What Classic Car Insurance Company Do We Choose? That why we at Gallen Insurance have chosen to partner with Hagerty for all of our customer’s classic car insurance needs. On average, a Hagerty Classic Car Insurance Policy will cost you 46% less than an average car insurance policy. Hagerty also allows you to customize your policy to meet your specific vehicle’s needs. Hagerty agents are not only trained to specifically handle classic car policies but also to handle your claims. And every Hagerty policy comes with guaranteed Flatbed Roadside Assistance, where they use soft straps rather than metal hooks and chains that may damage your vehicle, as well as offering unlimited battery jumps, towing and lockout service. 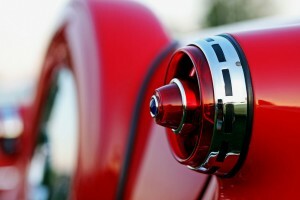 Does Your Vehicle Qualify for a Hagerty Insurance Policy? Providing programs for a variety of collector vehicle needs is one of the many things Hagerty takes pride in. Our combined passion for the collector car hobby matches the passion their clients have for their own vehicles. As our partner, Hagarty provides insurance coverage for collector vehicles that are owned for limited pleasure driving, car shows and club events. We provide guaranteed value coverage on every vehicle we insure. Because of this, there are certain guidelines that our underwriters need to follow while issuing policies or adding new vehicles. Our program is made to fit the collector vehicles that are used for club functions, exhibitions, organized meets, tours and even occasional pleasure driving. What Should You Look for in a Classic Car Insurance Carrier? Claims Satisfaction: Claims are main reason why insurance companies exist, and the outcome of claims settlements is a leading factor on how an insurance company runs their business. Hagerty has on-staff parts specialists that are able to track down rare collector car parts for any needed repairs. Hagerty also provides in-house claims service for timely response and expert care. Ease of Service: The ease of doing business with a company and willingness to help plays a big role in how an insurance company stands in the industry. Hagerty’s agent book roll makes transitioning clients’ policies simple by using three easy steps; obtain an online quote, complete the intent to transfer application, and provide payment for the coverage. Policy Retention: The percentage of policies that renew with an insurance company accounts for that company’s stability and overall client satisfaction. NPS Scores: Net Promoter scores are a great way to view a company’s overall satisfaction ratings. The scores give you a solid idea on the amount of loyalty between the provider and the client. A.M. Best Company ratings: This is a prime tool for discovering an insurance organization’s financial stability, which is an incredibly important factor when establishing a relationship with a company.